In the first ten years of her career, Shehzia has predominantly spent time designing and delivering learning and development interventions in the corporate world. She is a passionate L&D professional with experience in the areas of coaching & mentoring, leadership development, change management and talent management. 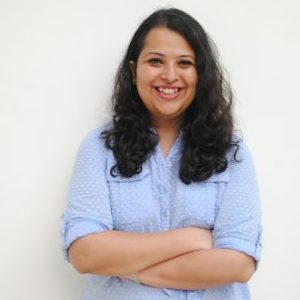 While pursuing her graduate degree, she joined AIESEC – the largest youth run organisation in the world and worked on facilitating their global internship program in Pune. She took on a leadership position in her third year with AIESEC and soon after graduating from college, she decided to push herself out of her comfort zone and take an AIESEC internship in the city of Wroclaw, Poland where she worked with a corporate training and consulting firm and thereafter began her career journey in the function of L&D. After years of supporting behavioural and leadership development in the corporate sector, Shehzia now manages the Post Graduate Certificate in Social Innovation Management Program at Amani Institute in India, where she is Country Manager. She holds a Bachelor’s Degree in Psychology from Fergusson College (Pune University) and a Diploma in training & development from ISTD (Indian Society for Training & Development, New Delhi). Passionate about the study of human behaviour, Shehzia is also MBTI certified and accredited on Harrison Assessments. When she is not at work, she enjoys travelling & taking road trips, watching movies/binge watching TV shows, exploring new eateries and coffee conversations with friends.